* By Robert Woodall with peak lists compiled by several workers. 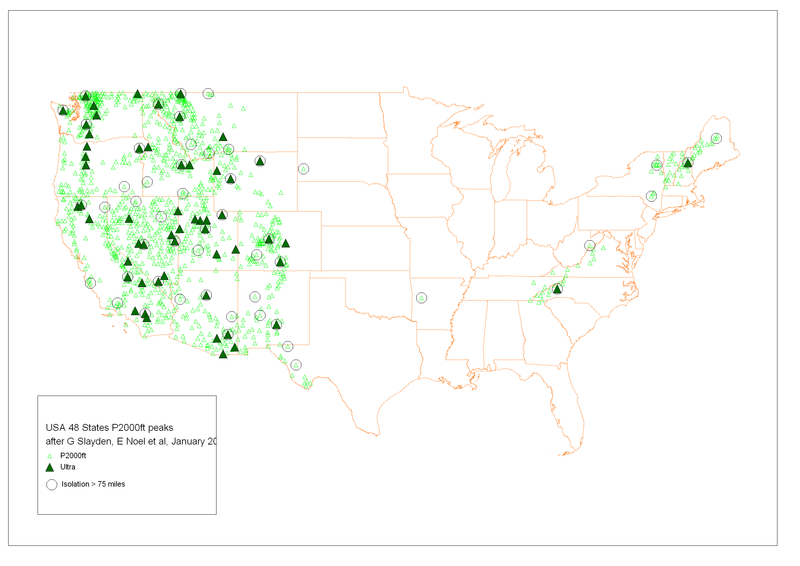 This map represents all contiguous USA prominences of at least 2,000 feet. Ultra prominences (at least 5,000 feet) and most peaks with at least 75 statute miles isolation are also indicated.